Barbecue season is that glorious time of the year when the weekday evenings get longer and the scent of freshly-cut grass and chargrilled meat fill the air. As you dust off the trusty grill for another summer of faithful service, consider a magnetic upgrade for your favourite utensils. We’ve been there, mid-grill, as the sausages are on the cusp of turning from perfectly charred to burnt to a crisp, you are presented with another plate of uncooked burgers and you can’t hear yourself think above the din of the rumbling bellies of your guests. 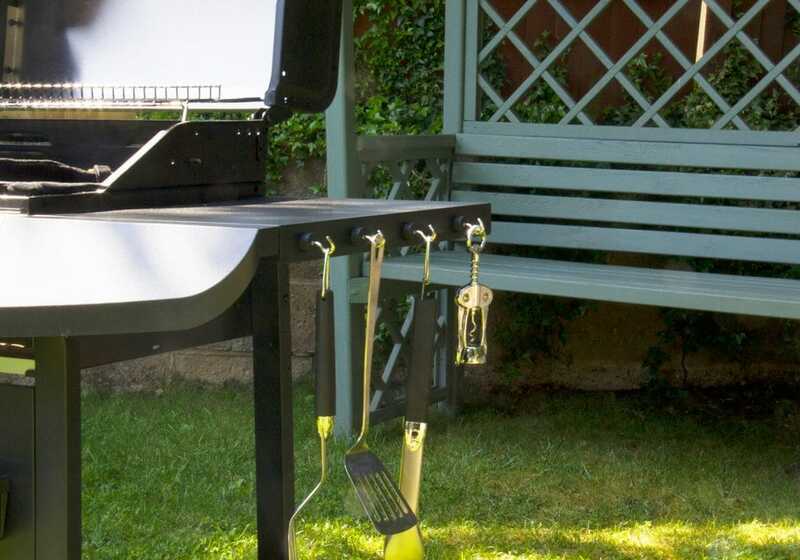 When the pressure is on, you need your utensils close at hand, which is when you will be pleased you decided to add magnetic hooks to your barbecue ensuring all your tools are kept within arm’s reach. 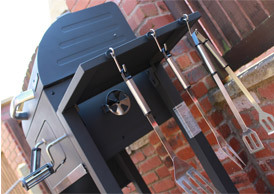 Of course, like all precision barbecuing there are things to consider. For example, never place magnetic hooks on a part of the BBQ that is in direct contact with hot coals, or if you are gas kinda guy, then not so close to your burners as the heat will not only make your utensils too hot to handle, it will ruin your magnetic hooks. 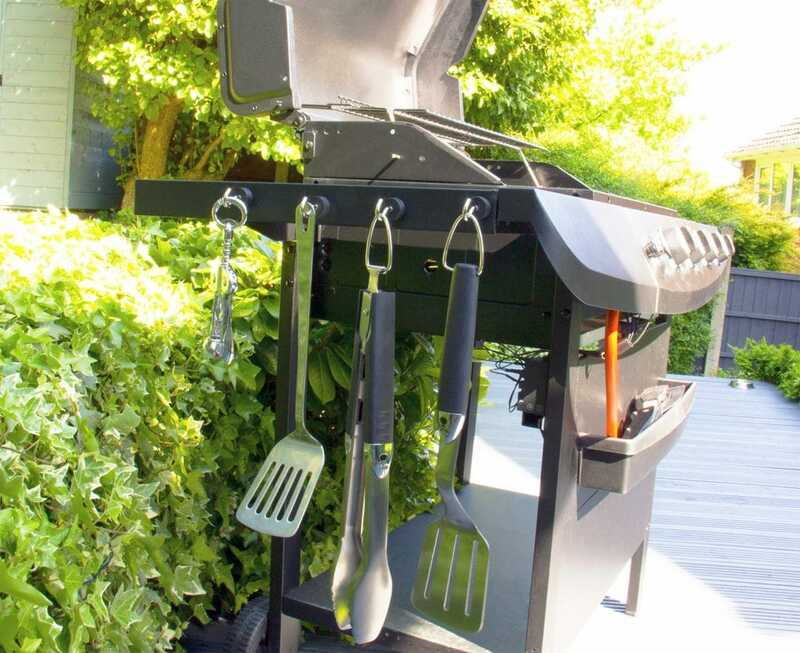 We recommend positioning the magnets against a flat surface, such as on the edge of a shelf or other supporting part of the barbecue, but always away from the heat. Don’t worry about marking the surface as these magnets are rubber coated so you can place them, reposition them and remove them without the risk of scratching your grill. Secondly, the hooks supplied with our recommended magnets are 4mm thick and have an internal diameter of 8mm. Perfect for hooking on to most inbuilt loops at the end of your utensils, but if you find they won’t fit through the holes then you could always use another hook like this customer or a piece of string to the end of your utensils. Easy! Looking to hang heavier items than your regular utensils, then consider our discreet black-painted hook magnets. Each will hold an impressive 3.5kg in a shear position. We always love to receive customer applications to see how you are using our magnets in various walks of life! So, when Alex from our marketing department tried this magnetic solution, we wanted to show you his results! As you can see, his utensils are on hand and ready to cook!